[twitter_follow username=”https://twitter.com/CalgaryAppDev” language=”en”] [fblike url=”https://vogcalgaryappdeveloper.com/apps-developers-how-to-find-the-right-iphone-smartphone-apps-developers” style=”standard” showfaces=”false” width=”450″ verb=”like” font=”arial”] Apps developers are plenty and widespread around the world. You can find apps developers in North American and all the way over to India, south Asia and the Middle East. Having used some developers from the Middle East, this author can honestly state that some developers in the Middle East really know there stuff. Most Middle East apps developers usually have a poor understanding of the English language. Along with poor English the time difference of 7-12 hours is a huge downfall. Getting anything done the day of can be very difficult. I guess the question would be “why do so many people use developers from other countries and not developers from their own back yard?” From my understanding and personal experience, using developers in other countries usually means you can save a huge amount of money on development costs. But…..Are you really saving money? 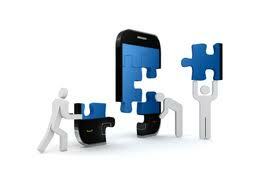 Apps developers usually have design costs that are very reasonable with build times that are achievable. Frankly, saving $400 but having a project finished weeks later is not practical to me. What about you? Vog Calgary App Developer has fun, creative apps developers ready to work at a price that is very reasonable. Along with building you an amazing app for your business, we help you learn how to use it and market it to your customers. Our team provides both 24/7 support and one on one app training. So you know what your app can do for you. Something I know apps developers in other countries won’t be able to provide you. Finding the right apps developer shouldn’t be based on the best price you can find. Although price is a big portion of most business decisions, make sure that you are not sacrificing price for quality. If you are reading this post then I encourage you to check out our app design packages. Our packages can be modified to your needs, just use the contact form if you have any questions that need to be answered. [twitter url=”https://vogcalgaryappdeveloper.com/how-much-does-it-cost-to-have-an-app-built” style=”horizontal” size=”large” float=”right”] How much does it cost to have an app built for a business looking to connect with their customers? Building an app can be very expensive. In fact, web designers, app developers and web content creators will charge anywhere between $80-$120 per hour. Considering that most apps can take anywhere from one week to 3 months to build, the costs for an app can add up quickly. On the low range a typical app with with images and content supplied by the customer costs around $2000-$3000. 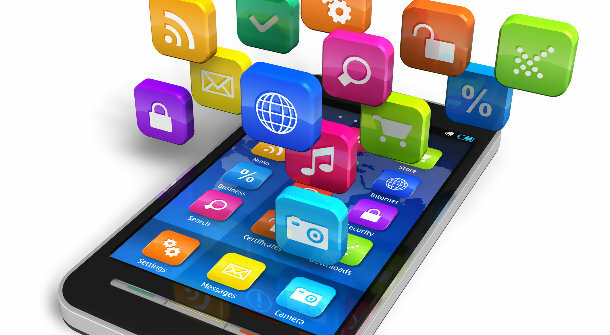 App developments that required back end access, content upload and image scaling can cost upwards of $4000 or more. Game apps can exceed $100,000 or more easily but can be a good return on income if the game goes viral (think Angry Birds). The answer to “how much does it cost to have an app built?” really comes down to what you want the app to do. When doing some research on other companies and web developers, Vog Calgary Apps found that the average rate for most apps developed for small and medium businesses was around $3000. A bit high in comparison to our pricing for app development but fair when considering the amount of work that is needed. Since we are still adding content to our portfolio, a few emails have been sent to us asking what our apps typically look like. Since all companies are different, no two apps will be exactly the same. However, we did find a great app that looks a lot like the apps we design for businesses. That app is the Obama app. During the 2012 presidential election in the US, President Barack Obama campaign had an app developed which provided more information about the president and is stance on many political views. The type of app the Obama campaign used is called a table app. A table app has many features which the app user can scroll through. Features like maps, info, twitter and social media connections, etc. If you are a business or own a company that wants an app which represents your company, then this is the type of app Vog Calgary App will have built for you. Table style apps are very effective apps for providing quick and useful information to the user. These types of apps are hugely liked with Apple because of the friendliness and usefulness it provides to the app user. The Vog Calgary Apps team suggests to check out the Obama app and see what you think. Remember, Vog Apps builds unique apps for each and every company and we only suggest the Obama app as a visual aid for the type of app we can design for you or your company. To finish off, our response to the question “How Much Does It Cost To Have An App Built?” is in our pricing. Just because our packages are affordable doesn’t mean we are cheap on features. https://vogcalgaryappdeveloper.com/wp-content/uploads/2012/11/App-Icon-copy.png 512 512 Vog Apps https://vogcalgaryappdeveloper.com/wp-content/uploads/2017/07/VOG-logo-horizontal.png Vog Apps2012-11-20 03:32:562012-11-26 01:01:45How Much Does It Cost To Have An App Built? [twitter style=”horizontal” size=”large” float=”left” use_post_url=”true”] We here at Vog Calgary Apps are please to announce our official start in developing new apps for local and international businesses. Although the market for app development seems very overcrowded, which in some ways it is, Vog Calgary Apps is bringing a different strategy to clients and customers. We are showing local and international businesses that app development is not as expensive and some would have you believe. Sadly, the app development market has been over priced for many poor quality apps. It’s no wonder that the current view from many smaller businesses is that there is no need to have an app which represents their business and products. However, in the next 5 years the app market is going to explode and having a business app will be just as essential as having a website. Over the next 5 years, up to 98% of collage and university students will have a smartphone. It is estimated that over 110 million people in the US alone use smartphones with this trend expected to only rise. With figures like this it is easily foreseeable as to why every business will need a smartphone app. Unlike a website, a smartphone app is better suited to fit the smaller screens of iPads, iPhones, Droids and other smartphones. Further more, apps are more versatile and can have direct communication with app users. Push notifications, an exclusive feature of mobile apps, will further push the interest of businesses looking for different marketing avenues. A key to all apps developed for business will be the features it provides users while opening many new doors for direct customer service. Sending notifications of new deals, coupons, promos and special offers will dramatically change how marketing is done. Forget the days of billboards and radio ads. The new media that will continue to open new possibilities will be smartphone apps. The days of laptops are nearing the end of their life cycle with many people switching to tablets instead. Looking at the home computer, those days are finished with many looking at stationary computers as a relic. As the next 5 years approaches, the cost of app development will increase due to the demand and need for these apps. At the same time, developers of smartphone apps will also increase but will not be able to keep up with demand. Since the demand will be greater then the supply, costs will rise to reflect this. [twitter style=”horizontal” related=”https://twitter.com/CalgaryAppDev” size=”large” float=”right”] VogCalgaryAppDeveloper.com is pleased to show our brand new logo which was created with the help of 99designs.ca. The new logo represents our commitment to building fun, creative and unique smartphone apps for local and non-local companies. It is with great joy that we are able to work locally for many businesses who are in need of a smartphone app. Further more we would like to introduce Vog, our website companion and vogcalgaryappdeveloper.com mascot. [twitter style=”vertical” related=”https://twitter.com/CalgaryAppDev” size=”large” float=”left”] Vogcalgaryappdeveloper.com thanks our friends over at 99designs.ca for creating a cool looking logo for our website. Our new logo and Vog, our company ambassador, would like to put out a special thanks to logo designer Vian Stef. 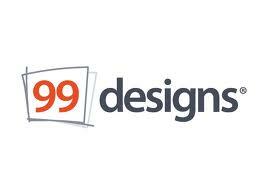 99Designs.ca is a logo design company which posts jobs from website developers and companies who are looking for a new logo or website template. Once you complete out a few questions and submit your request, creative artists submit their ideas and images. The really cool part about 99designs.ca is that you can choose which logos you would like and which you can refuse. Usually after a few days of going back and forth with many different designers, you will have what you are looking for. We here at Vog Calgary App Developer would like to tip our hat to the hard working folks over at 99designs.ca and hope to do more business down the road with that great company.